These cost well over £300. They are shaded tan leather with full leather lining. Adjustable strap and buckle. Full inside zip. Leather soles and half leather heels. Can be worn by a woman size 8 or a man size 7. 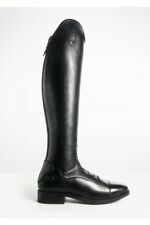 LEATHER RIDING BOOTS BY RECTILIGNE OF FRANCE. Maker's Mark: 'Rectiligne Made in France' in gilt lettering to the interiors (see photo 3). 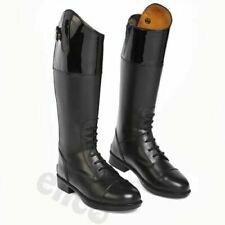 This is a fine quality pair of riding boots in Continental size 42/UK size 8. Ariat Sutton H2O Boot. Ladies tall country boots. 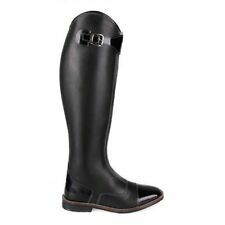 The Buckingham long riding boots are made with a classic and elegant design. Height 42cm / Calf Width 42cm. Calf width is 44.5cm circumference around the outside. Boots in good condition. Height of the back spine is 45cm from the heel. The Brogini Capitoli is made from smooth, high quality leather and features an elasticated rear zip an laced front design with delicate brogue detail on the toe. One of Brogini's most popular. Brogue detail along the toe, Brass Brogini pin. Used tall leather riding boots Size 8 XW calf. Black leather Supple leather Just to big for my calfs as lost lots of weight. 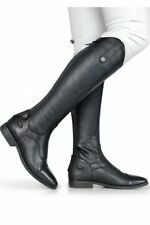 A pair good quality riding boots. Good quality leather. Information inside the boots Height: from floor to the top of the boots on the back: 49cm. Very good nearly new condition. The outsole has been resoled to protect the original (leather?). 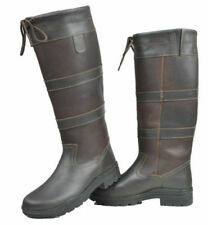 Women's Riding Boots Rust/Red Briar-Tall Dublin Estuary Equestrian.